Buckeye Partners to acquire U.S. East Coast and St. Lucia terminal network for $850 million. Hess Corporation has announced that it has entered into an agreement with Buckeye Partners, L.P. to sell its U.S. East Coast and St. Lucia terminal network for a total consideration of $850 million in cash. As a result of the sale, Hess is expected separately to release approximately $900 million of working capital, with another $100 million continuing to be retained by the retail business as part of its ongoing operations. The sale of the terminal network, along with the sales of four upstream producing assets completed earlier this year and the announced sale of the energy marketing business, brings total year-to-date divestitures to $5.4 billion. Hess says it has used the initial proceeds from its completed asset sales, first, to repay debt and, then, to further strengthen its balance sheet. The company has also started purchasing shares under its $4 billion authorization and says it intends to use proceeds from, and working capital released by, the sale of its terminal network to continue this program. The agreement with Buckeye is subject to regulatory approvals and other customary closing conditions and is expected to close in the fourth quarter of 2013. Hess Corporation is a leading global independent energy company primarily engaged in the exploration and production of crude oil and natural gas, and the marketing of refined petroleum products, natural gas and electricity. 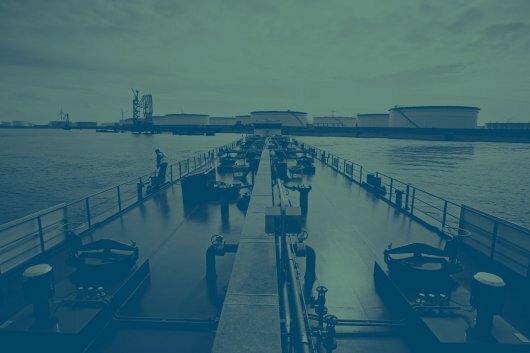 As a marine fuel supplier, the company delivers bunker products to clients in the ports of New York, Norfolk, Baltimore and Philadelphia. The company's U.S. East Coast terminal network and has a total of 28 million barrels of storage capacity in 19 terminals, 12 of which have deep water access. The oil storage terminal in St. Lucia has the capacity to store 9 million barrels of petroleum products.